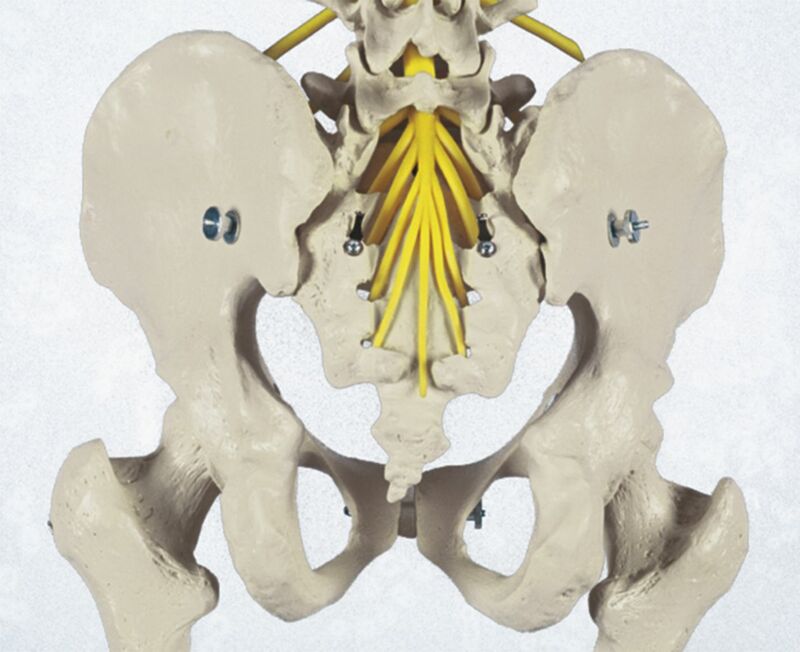 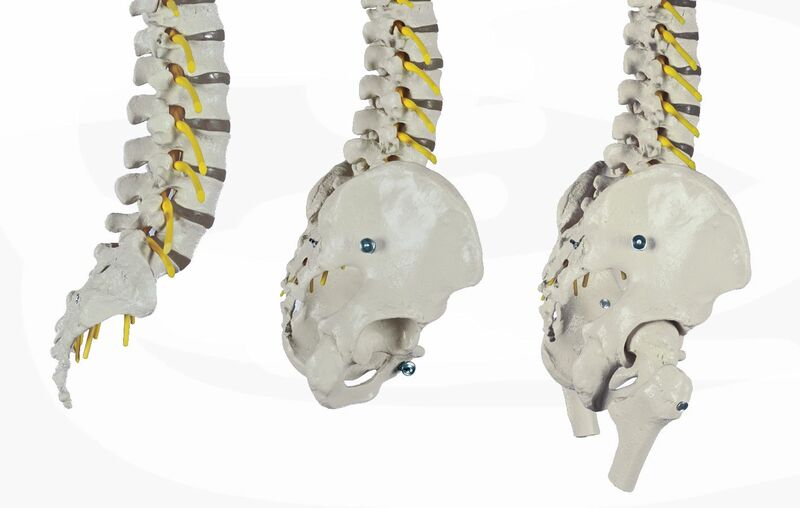 This life-size exact plastic replica of the human spinal column is an excellent demonstration model. 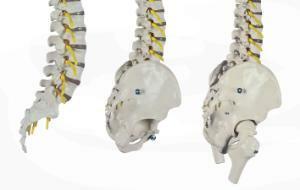 Flexibly mounted on a metal stand, it includes the vertebral column, spinal cord, nerves, and ganglia. Size: 87 cm.